If you are looking for a buko pandan recipe , try this cooler! a refreshing.. 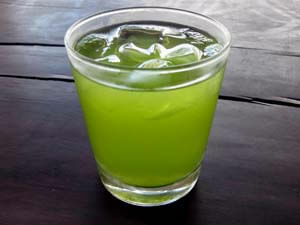 Ingredients: 10 Pandan leaves, cut into several pieces (Fragrant Screw Pine) 5 pieces lemongrass 2.. 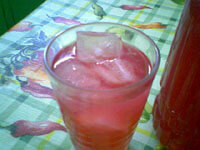 Ingredients: 2 bunch of kamote tops (sweet potato leaves), preferably violet in color 15 pcs.. Ingredients: 2 Ripe mangoes, remove the peels and seeds 1 jar caramel or butter scotch..
Want to spice up your boring lemonade? Why not add it with orange and gelatin?..